Air India Express Trichy incident: An airline statement said that pilots were informed about the aircraft hitting the wall only after they were airborne, who responded that the aircraft systems were operating normally. The crew, however, decided to divert the Boeing 737 aircraft to Mumbai. An Air India Express flight to Dubai with 130 passengers on board had a close shave when it hit the perimeter wall of the Trichy international airport during take-off early on Thursday. 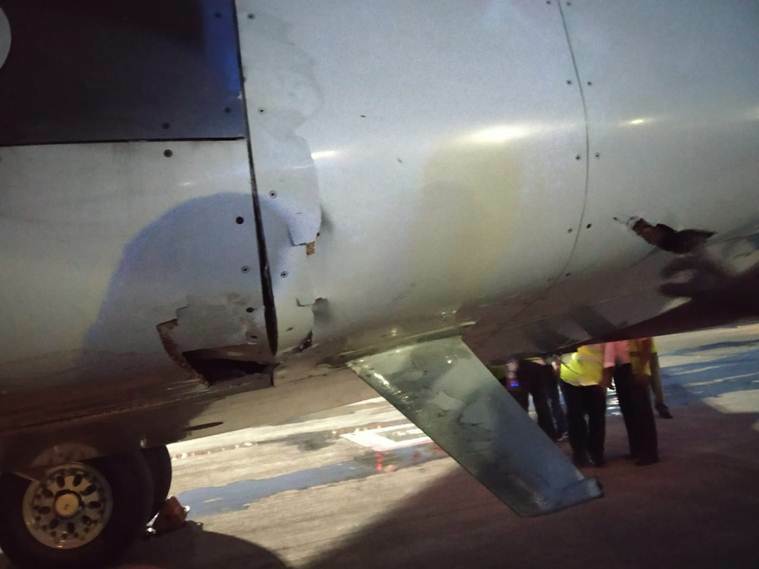 The flight, however, continued its journey despite damage to the aircraft with the pilots apparently unaware of the incident. No passenger suffered any injury. An airline statement said that pilots were informed about the aircraft hitting the wall only after they were airborne, who responded that the aircraft systems were operating normally. The crew, however, decided to divert the Boeing 737 aircraft to Mumbai. Taking to Twitter, Union Minister Suresh Prabhu said he has spoken to the secretary and other senior officials of the civil aviation department and has ordered a high-level inquiry into the incident. “Air India has constituted a sub-committee and is looking into all safety-related issues within the organisation, including subsidiaries,” he said. “Directorate general of civil aviation officers are present at the site for preliminary inquiry and officers from the Aircraft Accident Investigation Bureau have also been deputed into the case,” he added. “It was decided to divert the aircraft to Mumbai as a precautionary measure. The flight was diverted to Mumbai and it landed safely at about 5.35 am in Mumbai and taxied on its own power to the parking stand. All 130 passengers and six crew members on board the aircraft were alighted safely. No one suffered any injuries,” it added. The airline also said that refreshments were served to the passengers at the Mumbai airport following which another aircraft was arranged to continue the flight to Dubai with a fresh team of crew. The crew, however, decided to divert the Boeing 737 aircraft to Mumbai. “The pilot in command was Capt. D. Ganesh Babu who has a flying experience on the B 737 aircraft of 3600 hours including about 500 hours as Commander. The First Officer was Capt. Anurag who has an experience of about 3,000 hours on the B 737. The two pilots have been de-rostered pending investigation. The matter has been duly reported to the DGCA and the airline is fully cooperating with the investigation,” the airline said.